Fantastic content! Great questions & insight on how to take life & business to the next level! Love this podcast, keeps me learning and keeps me positive on my future plans! Thanks daray! I stumbled on the podcast in December 2017 and have been hooked ever since. I love the knowledge that is presented each week and it’s only motivated me to grind more. I appreciate everything you do, man! Also, thank you for the guidance given during our breakthrough call. It didn’t go on deaf ears. This podcast is really well done. They offer valuable information on a variety of topics. Informative interviews with knowledgable individuals. Wether you are a serious entrepreneur, or someone who is looking for was to generate some extra income, this podcast will help you meet your goals. Though I am not an entrepreneur, I still found the insight provided by Daray and the show as a whole to be extremely useful. You get a combination of concrete steps that one can take to be more productive and financially secure PLUS some tools for self-reflection; I loved that he brings up limiting beliefs and how to overcome them. A great listen for anyone hoping to improve their life- whether that be with a new job, a new business, or just a new app. Episode 73 was wonderfully inspiring and interesting. As a fellow podcaster I appreciate receiving information and insight in an audible way. I am glad to be introduced to BLM and they came right on time! Look forward to catching up on the content!! And to note I like how help or information is offered rather or not the perfect match has been made. That’s true partnership and community building. This is a great show, the hosts is very informative and the information that he is presenting is also accurate. If your an entrepreneur you can take definitely take notes or reassure what you have already heard. The host, “plants the seed and more or less leaves you with the tools to maintain the garden.” Great show! I’m not normally one for self-help podcasts - even those that focus on assisting their listeners to make money. But Daray and his team have struck an excellent balance between being informative and remaining engaging without swaying over into being preachy. The guests are also often excellent with the highlight, for me, being the former FBI hostage negotiator. Do give this one a shot. Really enjoyable. Easy listen and solid sound quality. Any entrepreneur can find resourceful information by listening to this pod. Tons of high quality guests too and the episodes are essentially timeless. Great show for investors and entrepreneurs! First off, this show is geared towards those ready to take the leap into real estate investment. Daray is a great host with a great voice, calm and soothing yet with a sense of urgency that is motivating. The episodes are broken down thematically, so you can find a topic that pertains to you specifically. Tons of information with real-world applicability. Check this show out if you’re considering your investment options. A well edited and produced podcast. The host is engaging and knowledgeable. Interview style is relaxed and informative. Really enjoyed listening to the detail and deep dive into entrepreneurialism. Great podcast for those looking to improve and get tips on money management. A Fantastic Resource for Success in Wealth. Extremely informative podcast that I recommend everyone interested in making wealth should listen to without haste The episode I listen to featured Ryan G. Wright, a Real Estate Entrepreneur who goes into great details about Hard Money Lending, along with the good and bad of that source. Daray’s skills as interviewer and host were very impressive. You can feel the confidence that he knows what he’s talking about. If you want to be successful then Show Up, Show Up On Time, Show Up Prepared and listen to the BTM show. This podcast sounds great, very easy on the ears, making for pleasant listening. Fascinating interviews on growing wealth, and very motivational message behind it as well. I love the positivity surrounding crafting your own success story. Highly recommend podcast for entrepreneurs! Not only did I learn a few things, I also feel motivated and inspired! The advice given is aimed at entrepreneurial real estate investing but it can also be applicable in all aspects of life no matter what field you’re in! As someone who has tried to succeed as an entrepreneur for more decades than I’d like to admit, I found the advice and interviews in Before the Millions compelling. 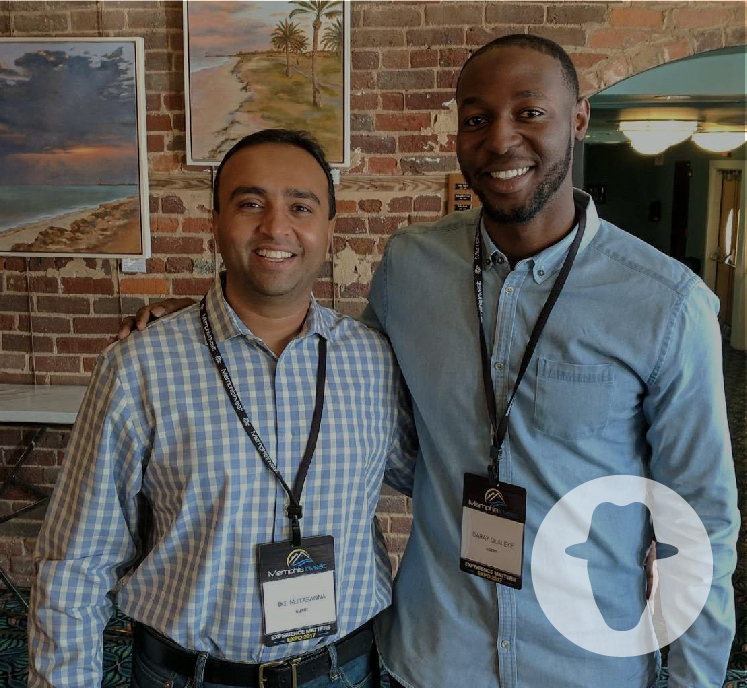 I especially enjoyed Episode 73: Money Isn’t Everything with Omar Khan. It wasn’t until recently that I found my groove and what sets my soul on fire. How important is money in this journey? What about time? Is there such a thing as work-life balance? This episode helped shift my mindset. It was raw, honest, and deeply, DEEPLY, resonating. Deray is a fantastic host who keeps you engaged and hooked on every word. Highly recommended? Listened to Omar Khan talking about "the money isn't everything" and multi family real estate units. Also a perfect show in alignment with my podcast "Screw the Commute." Daray talks extensively about getting away from working for others. He's darn right about that! Daray doesn't just interview and take from his guests, he also provides great insights and is obviously knows what he should say and do to help his audience. It's an amazing podcast where you know everything you learn can be used in whatever you want to do in life. You need to listen to this show! Great hosts who are knowledgeable and entertaining. 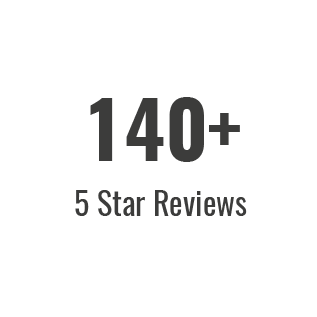 Check it out and leave them a review! Stormed upon your podcast, find it so amazing and full of great insights. Keep up the good work. This podcast is so great for people who are really trying invest in themselves and bet on their own future. BTM has expanded my knowledge on innovative wealth vehicles as well as the importance of understanding how to learn from the mistakes of others for a less bumpy road. Keep up the great work! Information & Inspiration that transforms the business and life of the Entrepreneur - become a Successpreneur! Here's to your success! Karen Briscoe, author, creator & podcast host "5 Minute Success"
Authentic. Genuine. Real. Thanks for all the great content!!! Daray and his guests provide some incredibly compelling content that's consistently both educational and actionable. And Daray does a phenomenal job extracting those bits of gold listeners are looking for. 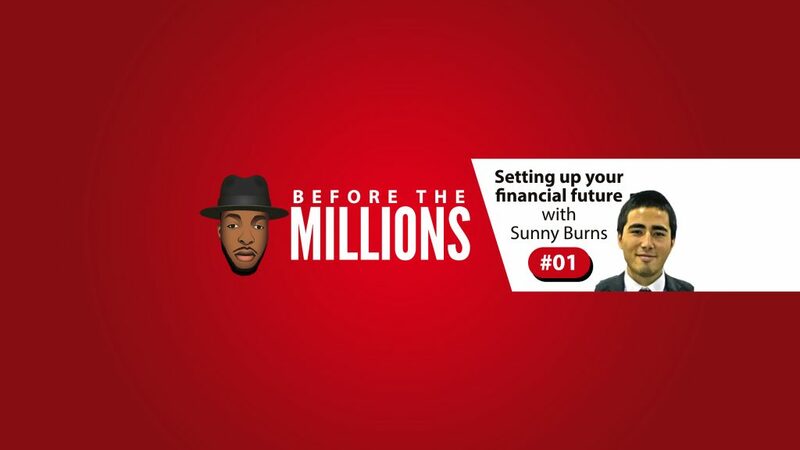 I highly recommend listening and subscribing to Before The Millions if you want the knowledge AND mindsets to level up (and reach your overall business goals as a result)! Well put together podcast. Every interview has been great. Definitely worth subscribing to. Takes you through the journey of young entrepreneurs. Especially like the focus on the early stages of each entrepreneurs story. Daray has such a calming presence as he interviews accomplished guests. Very enjoyable. Informative, Intriguing, and Immediately Useful!! In one sentence: This podcast is a gold mine full of investing tips. Daray Olaleye, provides an entertaining podcast that will entice listeners regardless of their expertise. 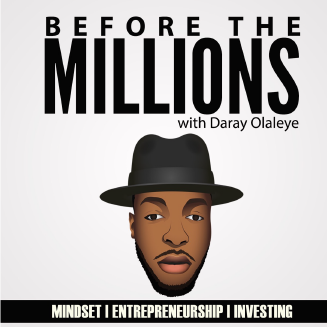 BTM is the perfect combination of guest interviews, ideas, and Olaleye's own personal touch that makes the podcast a must listen for all interested in financial freedom. Loved the energy of Daray and his willingness to share his powerful message with the audience. Refreshing and entertaining and ideal for the entrepreneur!! Tons of value. Listen and learn how to make your millions! BTM for great for those either looking to become an entrepreneur or to learn about investing. Daray does an awesome job of being a surrogate for the listeners and asking the right questions. 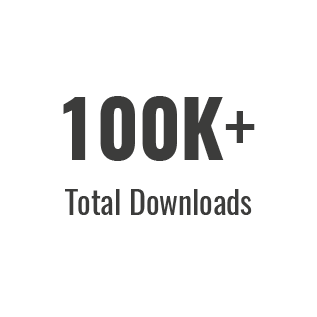 So proud of what this podcast is doing and what it will continue to do and that is motivate people towards financial freedom and financial understanding. I'm learning so much and each guest is unique! Thank you for your value, Daray. My mind always walks away from one of your podcasts with a wealth of knowledge. My brain and my net worth are eternally grateful. Continue the awesomeness. Awesome content for anyone looking to be or is an entrepreneur at heart! Daray really offers great content with this podcast to all of us out there pursuing financial freedom through real estate. Keep it up! Excellent podcast packed with great and useful information and knowledgeable guests. Daray and his guests are so inspiring. Every episode is loaded with tips and pointers for success in entrepreneurship and investment. This Podcast gives insight to The different ways of how to become successful. Everybody's path is different but the end goal is pretty much the same. This podcast sheds light on those different paths and gives the listener an opportunity for them to paint their own story. A big fan of Brent and his work. This is such a great podcast (LOVE the name btw)…you are going FAR Daray; keep up the great work! …find a problem and create a solution! Great advice and one of the many takeaways I received from this episode. Thank you guys for providing so much insight! Could not agree more with “you are the average of the 5 people you surround yourself with the most”! They also have great taste in books! Living situation is such a smart idea! I’m going to have to start working on that next as I hate wasting money on rent. Great podcast! I’m in school and this episode really helped put things into perspective for me! Hope we get to hear more from Sunny Burns in the future! Loved this! Both Daray and Sunny were knowledgeable as well as entertaining on my commute to work! That intro bumper is mind-bogglingly awesome! Keep up the good work. I look forward to taking this journey with you. Congrats! Every entrepreneur needs to subscribe and pick up on these gems! I listen to Before The Millions every morning on my commute to work. The guests are extremely insightful and Daray is remarkably engaging, with both the guest and his listeners. MY FAVORITE PODCAST! Highly recommend for today's young professionals. If you're tired of working a 9 to 5 and don't know where to start, this is by far one of the best podcast to be inspired to start your own venture. Especially a great listen for Millennials. Worth listening to. Highly recommended. Thanks for the great stories and interview. All of your stories are very interesting. I'd love to hear from some young real estate professionals who were able to get financing with almost no money to put down and the routes they took. Keep up the great work. Hi Daray, thank you so much. This is a great podcast. I like your interview style and the path down which you travel with your guests. The sky is not the limit for you. I wish you well on all your endeavours. Happy Birthday as well. God will bring to pass all His promises over your life. Before the Millions is informative and engaging! Daray and the Before the Millions team select great guests and share valuable information on varying topics. Finance and investing is a foreign language to me, so I appreciate BTM for making it make it make sense. Each week's episode is just as resource rich as the previous. Add Before the Millions to your favorites! Great insight from different minds! Solid content on each podcast. Great work Daray! Very informational! Great podcast for all millennials and entrepreneurs!! As a current entrepreneur, I get tons of value listening to Before the Millions to help me stay focused on my vision and also tips on how to manage my finances!! Great listen, keep them coming! As a guest on the show, I can tell you from firsthand experience that Daray is here to dedicate himself towards the greater good, which shines through in the show. Good vibes, well curated, inspirational and educational. Definitely give it a listen! Awesome podcast for anyone looking to change! The information is invaluable and it's doable because its coming from people who've been there. I've definitely motivated! For everyone who's willing to change your mindset and get off the couch of complacency and comfort then this podcast is definitely for you! Good stuff Daray! Keep inspiring. ?? Great info for investors of all types and stages! Love this!!!!!! Amazing! Only way to describe it! I'm not even a person who loves podcast, but the content and the delivery are AMAZING! Daray has a charisma that reads through audio. I will definitely continue to tune in for more content!!! Keep it up!!! Good job Bro! Your story's so motivational. Can't wait to see what all God has in store for you. This is one of the best new podcasts right now! Such rich content combined with great interviews. I am a huge fan and highly recommend this podcast for all entrepreneurs wanting to be inspired, uplifted, and learn valuable information all entrepreneurs should hear! Keep up the great work! 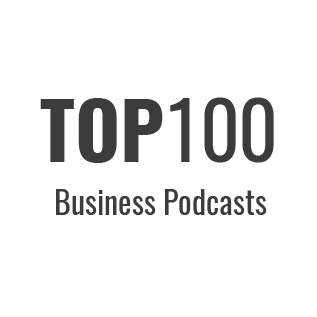 A podcast full of value and best demonstrated practices. Great for investors new and old, listen, take heed, and start your own amazing journey to finacial freedom. Amazing podcast! I love hear the stories from different entrepreneurs who are where I want to be. I have never been more inspired to take the next step in my financial journey than now. Talk about timing?? This stream of podcasts came at a perfect time!! Much needed knowledge and insight for young minds in today's society!! I'm grateful to have been made aware of this!! Great Job D!! I really enjoyed Daray's interviews that really help understand various aspects about dealings in the business world. You get to hear some amazing anecdotes that are not only entertaining but are relatable. Daray is such an awesome person so I'm glad the world is finally getting to see his talents!! Great listen. Really inspirational for those desiring to be entrepreneurs. Gives motivation and I recommend everyone listen. P.S do have a something to jot down notes when you listen!!! You'll need it!! After listening to the intro I had to download every episode!!! The host, Daray, is astute and asks very pointed questions! If you are struggling with getting in the right mindset to take control of your finances or delve into real estate or pursue any goals that you may have, this is the podcast for you!!!! So psyched to have this wealth of knowledge for freeeeeee!!!! Thanks Daray!!!! This podcast is very unique, informative and provides a wealth of value. I love it keep up the good work before the millions! Daray is an extraordinary host and his show, BFM, covers a vast range of info and knowledge on topics that will equip anyone who is seeking to create streams of passive income with the proper tools. This podcast will certainly be a part of my weekly listen, and I'm excited to be part of the BFM community. Great work, Daray! Great guests with interesting perspecitves and tips. What I love most about the podcast are the book talks. I love books and they recommend great books every show. Listen to it now !! This is what you would call an undiluted sets of gems. It's not everyday you get pure knowledge from a young man on his way to becoming. I've enjoyed this podcast and learned so much. Very motivated to pursue my dreams the more. Please tune in! Great pod so far with really interesting guests from all different walks of life and mindsets. A really good way to get your mind churning into a creative and informative state. Looking forward to more episodes. The host and his guests are dropping some great gems. Learned a lot in just an hour of listening. Looking forward to many more episodes! This podcast is awesome so far! Really excited to see how God uses this podcast to inspire others. A podcast that challenges us to change our mindset and stop finding comfort in complacency. This guy seems to have the keys to success! It's a process... great step by step pod to get your mind in order before the millions. A great Entrepreneurship pod that all business owners or potential business owners should tune into! 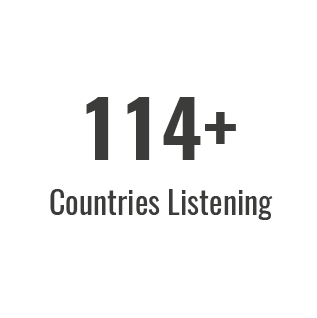 Glad everyone thinks the Podcast is amazing! This is really inspirational. Glad you all are enjoying! Here here! Great listen! Great content! I'm a fan of the show! Great variety of information and very entertaining! Is definitely replacing Bigger Pockets as my number 1 entrepreneurship podcast! Really impressed with Daray's interview skills and general knowledge on all things Investing and Financial Independence. He already has amazing shows and this will definetly be one of my new weekly podcast listens. I'd listen to it just for that fun intro-bumper, its mind-bogglingly awesome - go millionites! Great Pod for anyone who's trying to become an entrepreneur.